^ Perhaps that's why people expect her to be perfect. Charlene has been and continues to receive tutoring in French, speaks it, albeit not fluently yet, but does speak French to her children and is making every effort to learn a better level of fluency. From my visits there and the donors I work with who live there, she is highly regarded so, so far, she's made good strides it seems. Monaco is highly diversified, is not France, and welcomes any international influence that keeps their economy thriving. And, yes, you can trace that smart move back to Grace. It's one of the most warm and welcoming countries I have visited in w. Europe. That's just my experiences and those that I know who invest in property and business there. Thank you for sharing Yooper! 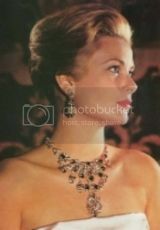 Considering Monaco I do not see them talking badly about the royal family less of all Albert and so Charlene. Though that does not change my view of them as I have followed now from years and seeing their evolution. Charlene tried at the start though she was badly advised trying to be a second Grace. But now I do not even see an effort. ^Actually, the people who work in Monaco, that spoke the highest of her do not live in Monaco. They live, mostly, in nearby Nice. All I know is when she brings her kids to the Hermitage pool or gets her hair done she speaks french to everyone and her children and it is noticed, appreciated and commented on to me when I asked. They would have no reason to lie. Who am I? Nobody but an American getting her hair done. Quite nicely, btw. The people that I know who live in Monaco are from all over the world and love to complain and I listen for hours but they like her. I'm not finding the resentment or any of that. And I'm there to ask for money so I'm an ear to listen to every ache and pain and problem imaginable. And there are plenty. The traffic, the bureaucratic messes within each province outside the principality, the fights over who fixes what but Charlene? They are thrilled with her and copy her style a lot. She apparently does better in person perhaps? No I do not think they exactly lie. But Monaco is the princely family. It is part of their identity. I doubt there is much negative opinion on any of the members. If Charlen was chosen by Albert is ok for them and if he decided to marry someone else then it is also ok. I simply doubt that Albert is criticised at all and also it is against the law to talk badly about them. But people live in Nice because Monaco now is super expensive. Though I believe you on the french although I maintain a doubtful view on her level. It is so nice that he has bought the Kelly family home where his mother grew up. He will restore it and make it beautiful. What a great tribute to his mother. Yes, it is very touching. She looks nice and her dresses are very elegant. She's just lovely, and those babies are precious. I don't remember the french ship thing but I do see both children here and they look good and loved and appropriate so maybe I'm missing something? There was recently an official outing and it looked like only Jacques was brought along, but what happened was that the whole family (the 4 of them) arrived and Gabriella became very nervous and cried and they then sent her home instead of forcing her to endure what was a stressful event for her. I don't watch them that closely and wish they'd scrap the primogeniture they still have, so I was a bit miffed when I saw only Jacques, but then it turned out that they are just sensible parents. I don't know how often they do appearances with the kids and whether that was the first time that only J appeared, but G was that once missing because she was stressed from the situation. ^^Thank you! I can see how, on the surface, that might look odd but when the facts come out, that makes sense to me. Yes cute, the kids are one each. Gabriella is totally Grimaldi and Jacques is his uncle blonde version. Goog to see Charlene without the nasty depressed look for a change. ^ She seems a lot more happier now that she's had the kids. Much more relaxed. She looks wonderful and the kids are cute! I agree they look like one each. Great photos.